Affordable NZ made Highland / Scots / Celtic Accessories for Highland dress and Wedding attire. 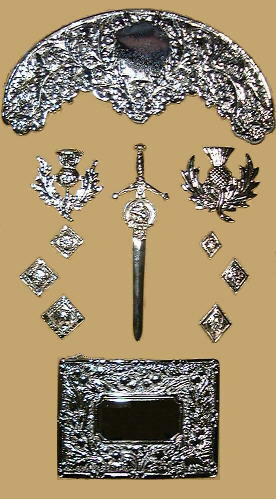 Centre: Kilt Pin, Rampant Lion Crested, sew-on style. Ask about our wholesale & export prices on the above.